Instead of wishing, ask; seek; knock. Your future is your’s. Not someone else’s to determine who you should be and what you should do. Be willing to accept the path God’s planned for you. Ask to accept that plan. Tonight we were supposed to go to The Lantern Fest, but hopefully everyone who snagged tickets (THANK YOU!) realized it was postponed until June 4. Instead, the kids and I spent the evening inside with some coffee, cookies, and coloring. Is there anything greater than being a kid and getting chosen anywhere but last in the kickball line? There is, actually. We are all chosen. All of us. Over the past few weeks, we’ve started tackling a few projects around the house. Things are starting to get real up in here. Let me tell you, oh, it’s on. 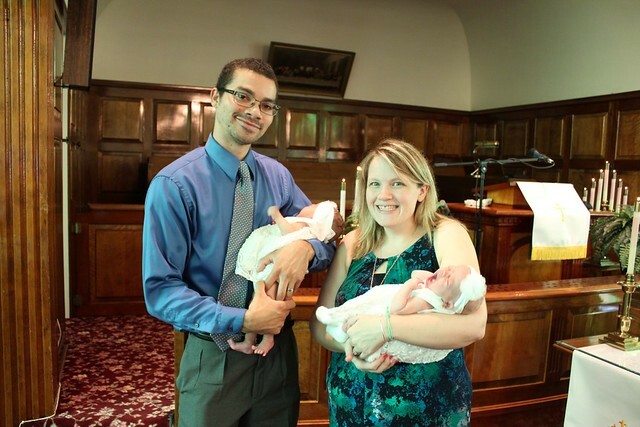 On Mother’s Day (May 10), Ava and Isla were baptized by their Pappy at East Brady UMC. What a special day and way to dedicate our babies to live a life in faith steps. Last week, I got the chance to bring my best friend to the Resting Place to join me for Girls Week 2014. Our time was all too short, so now I am going to whine a bit. You know how I do. Days 13-15 of 2014 have been a test. Someone definitely knows my word of the year and he is bringing craziness our way. But thought the crazy, blessings.